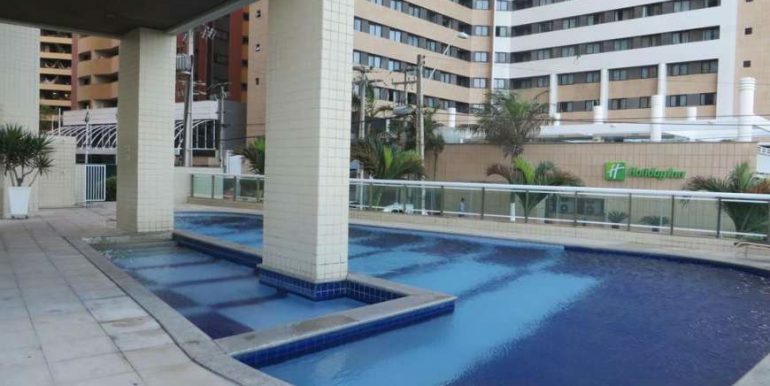 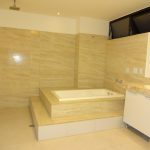 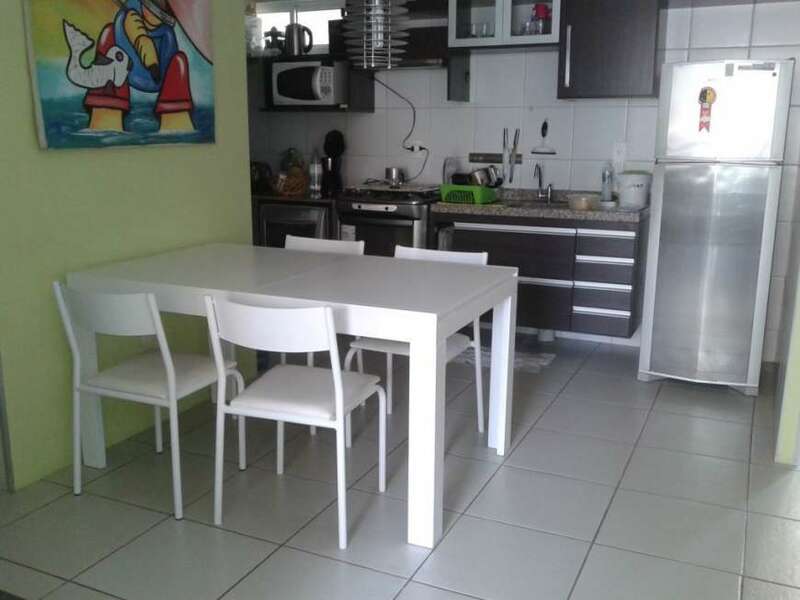 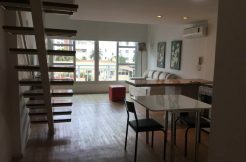 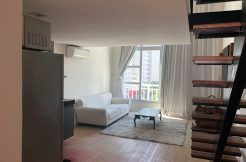 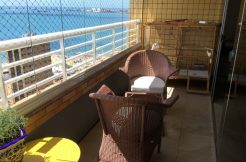 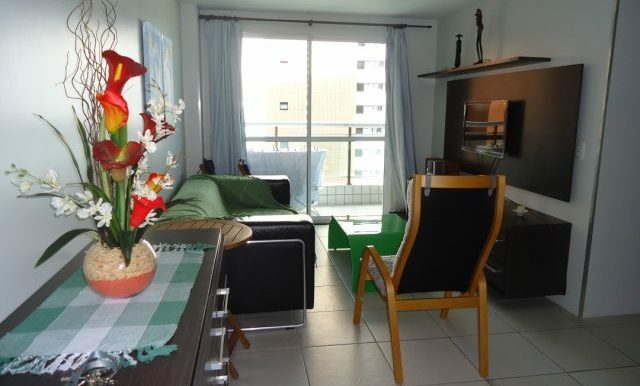 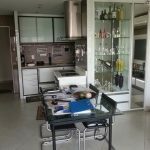 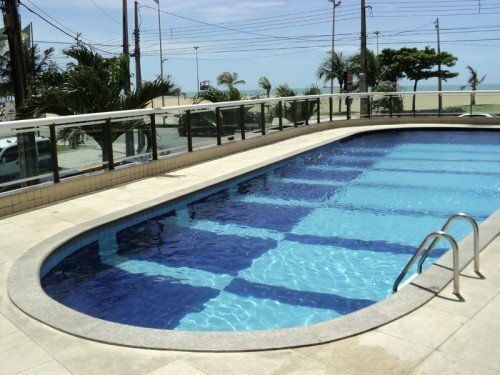 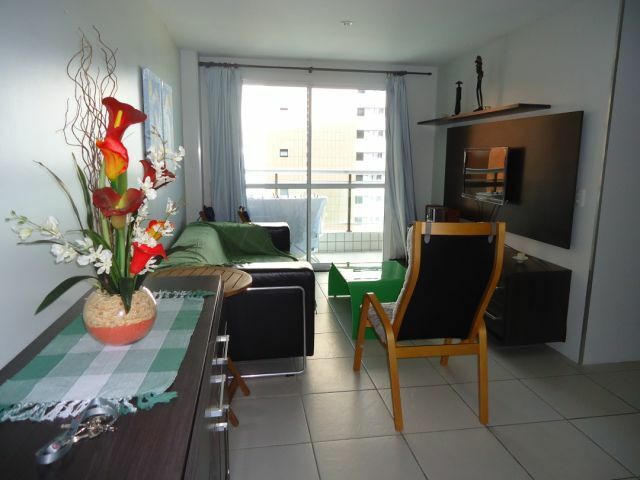 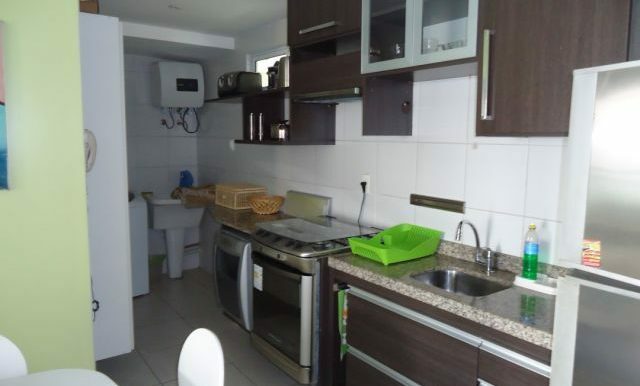 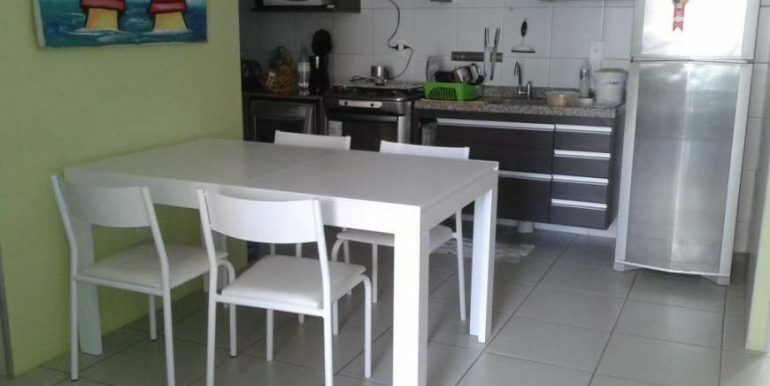 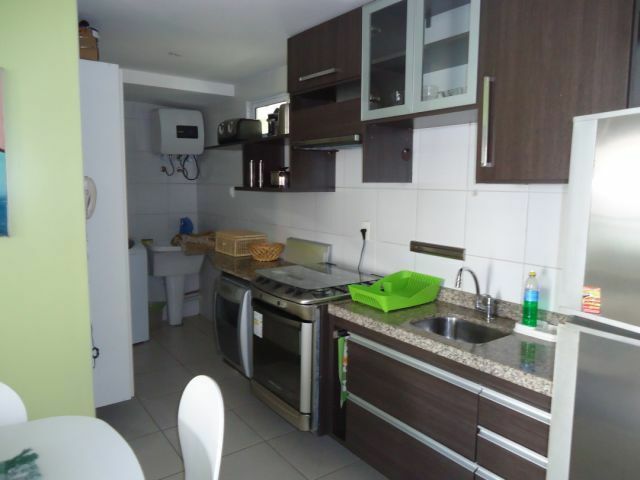 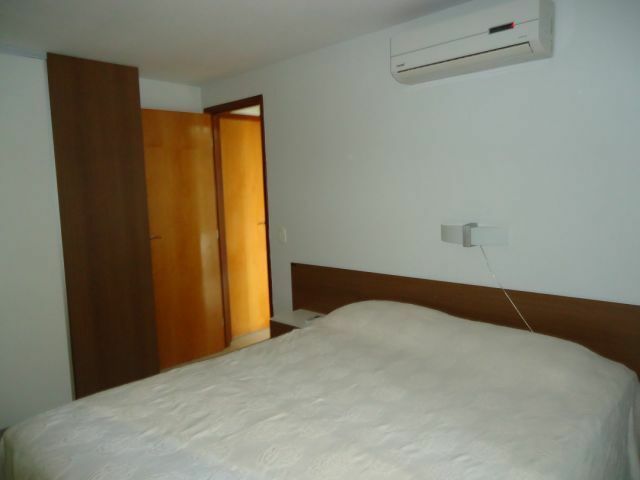 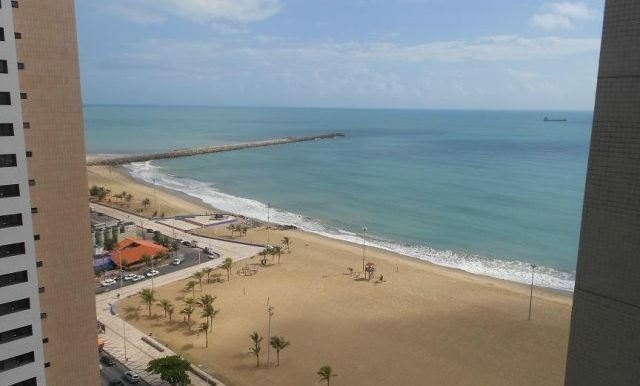 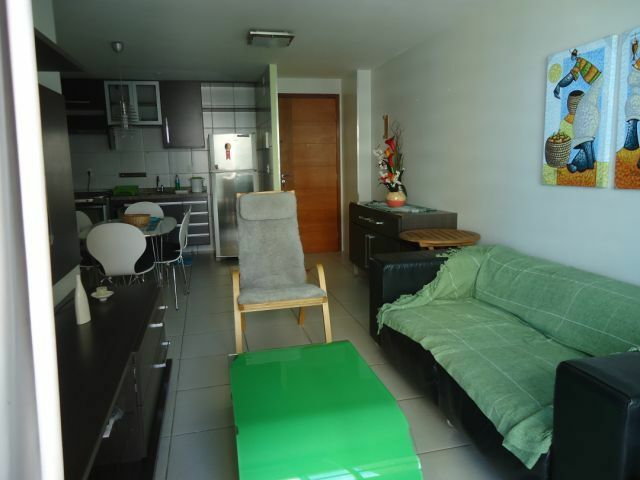 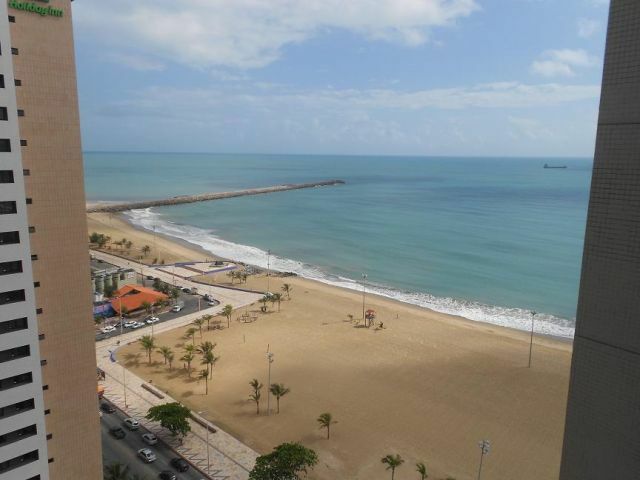 Selling beautiful apartment in Terraços do Atlântico completely furnished with partial ocean view. 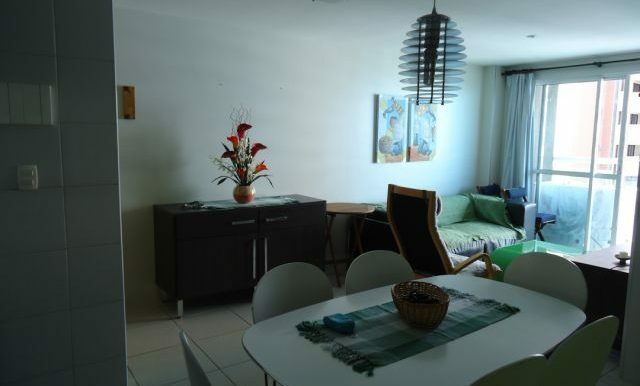 Located only 50 meters from the beach. 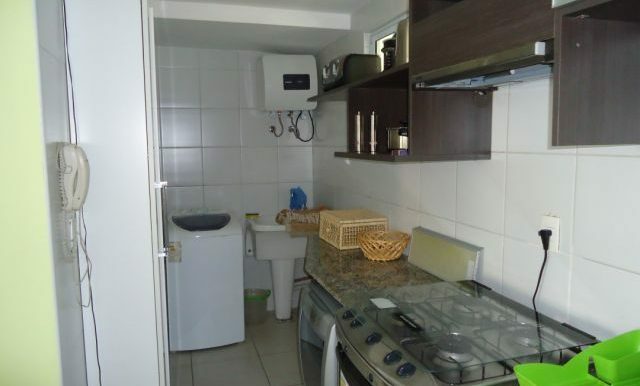 The 70 square meter apartment (753 ft²) is composed by two bed rooms one with its own bathroom. 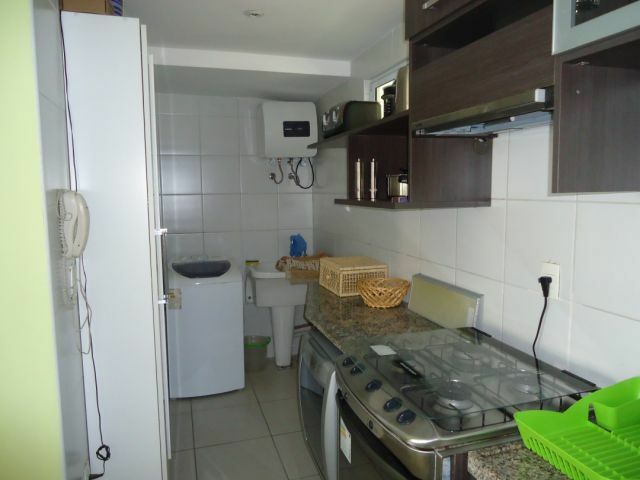 Joint kitchen and living room with direct access to the veranda. 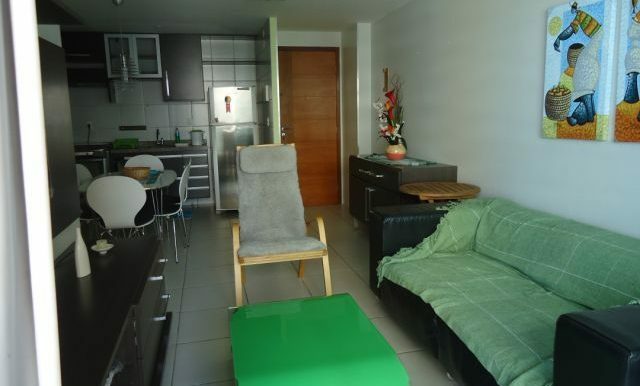 The apartment has two parking spaces in the garage. 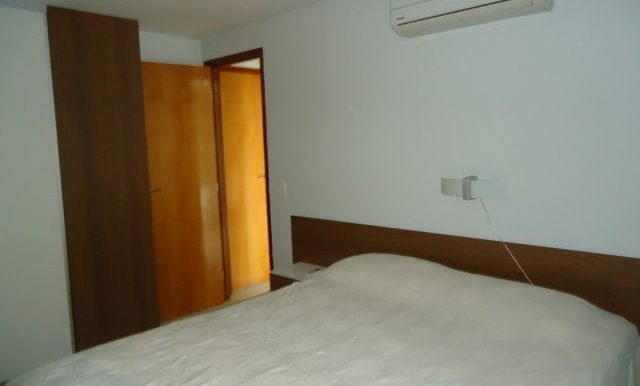 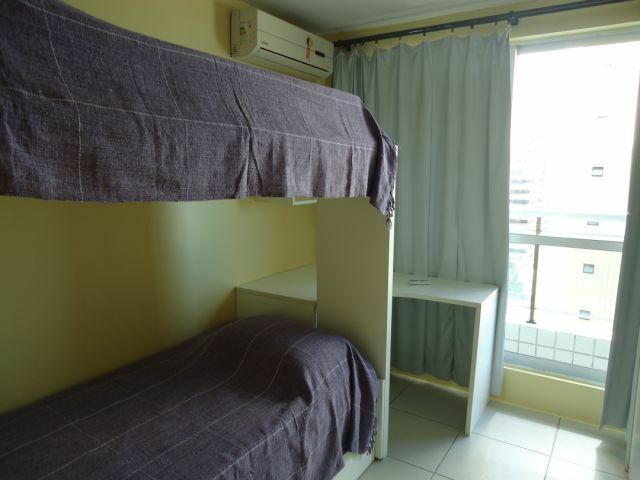 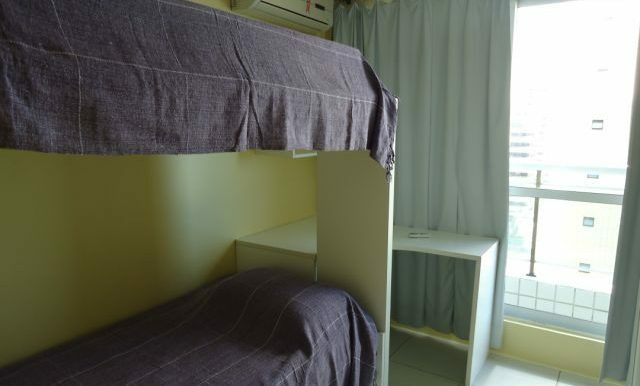 The apartment building called Terraços do Atlântico offers 24-hour reception and surveillance. 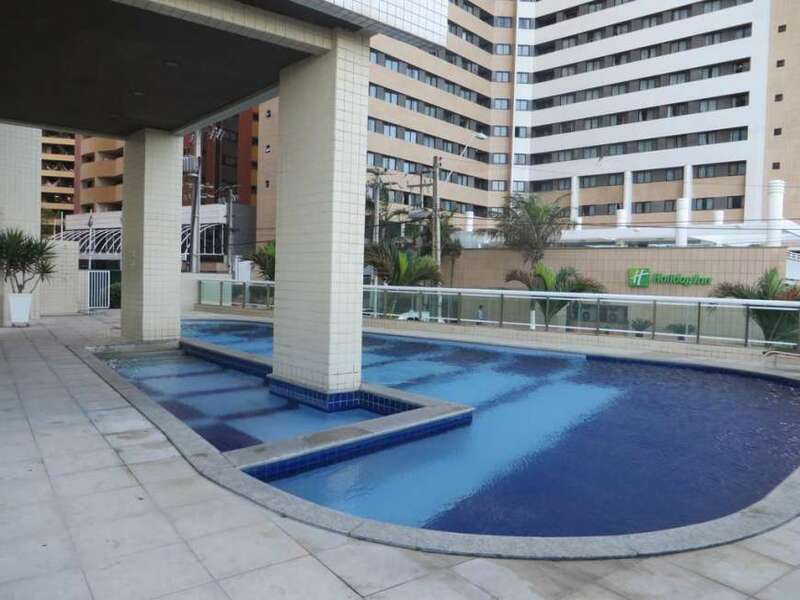 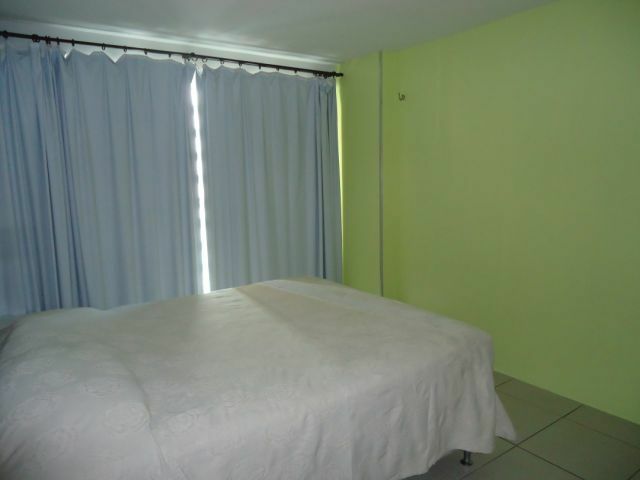 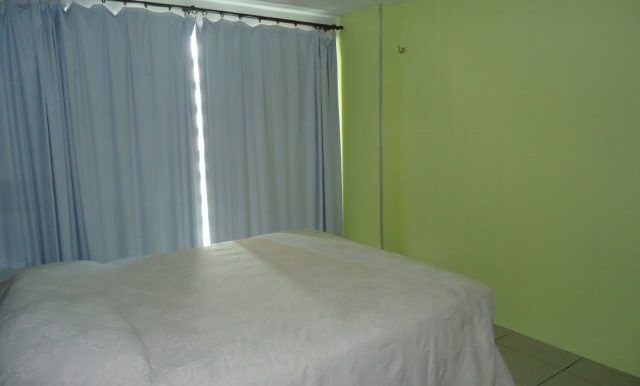 Swimming pool, fitness room, laundry facilities, party room, sauna, elevators and green areas.